The following post contains SPOILERS for the season finale of Westworld. Okay, so I guess William got that mole of his taken off at some point? If he was so into cosmetic surgery, he should have gotten some plugs for that bald head of his while he was at it. It was guessed on Reddit almost immediately, but Westworld only confirmed it on tonight’s season finale, “The Bicameral Mind.” William (Jimmi Simpson), who entered the park wearing a white hat and finally picked up a black one in this episode, is indeed the younger version of Ed Harris’ previously nameless Man in Black. The path taken by Dolores (Evan Rachel Wood), a host with one screwed up robotic brain, was largely one of retraced steps, spurred on by her creator, Arnold (Jeffrey Wright), to seek the center of some mythic maze hidden within the Westworld theme park. The reveal of the Man in Black’s true identity, though a long time coming and a tad anticlimactic, reinforced the theme of loops and lives moving in circles that’s recurred (as loops tend to) through this season on Westworld. “The Bicameral Mind,” written by series creators Lisa Joy and Jonathan Nolan (and directed by Nolan), was filled with loops, like Dolores' constant journey to find the center of the Maze. 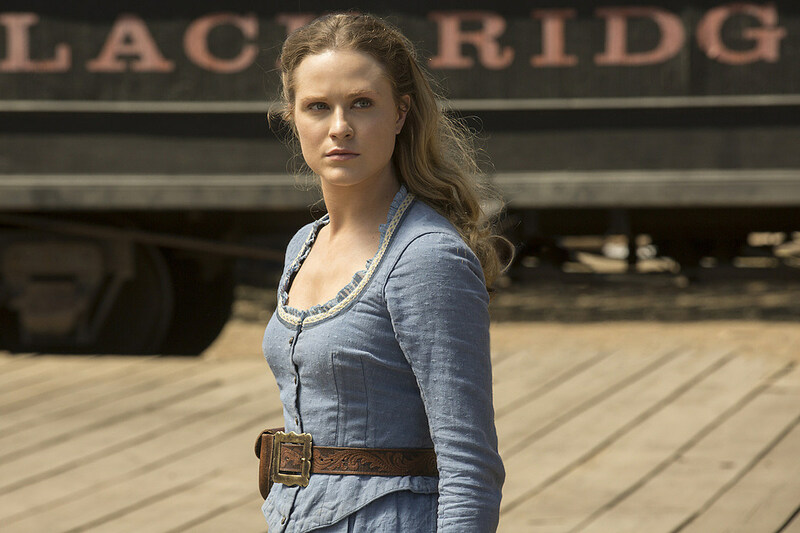 Dolores was also involved in one of the episode's most unsettling loops, the “suicide by host” (as I’m calling it) of both of Westworld’s two fathers in the same frontier town: Arnold (who ordered Dolores to kill him as part of a failed effort to prevent Westworld from opening some 35 years ago) and Ford (who has Dolores kill him in front of the assembled Delos Corporation board as part of a grand theatrical gesture to kick off his new narrative). 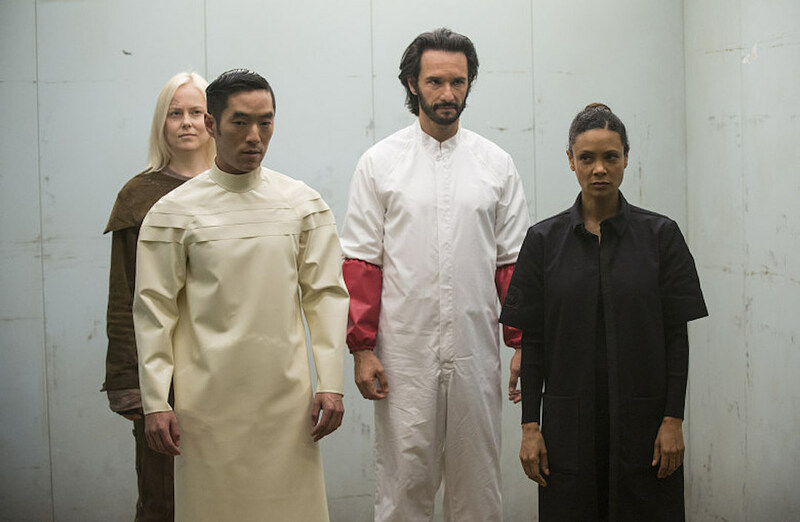 “The Bicameral Mind” wasn’t the best episode of Westworld this season (I’d probably give that award to “The Adversary” or “Dissonance Theory”) but it might have been the most Westworld episode of this season, and not just because it more than 90 minutes long. Tonight’s finale had everything Westworld did well — beautiful and complex performances, sharp dialogue, compelling questions about the nature of existence — and everything Westworld did not-so-well, namely a continuing emphasis on puzzles and mythology at the expense of clear drama with easily understandable stakes. The show backloaded so many of its biggest secrets that the results were either predictable or heavily reliant on lengthy (so lengthy) exposition dumps. There were at least three long speeches tonight (one by the Man in Black, one by Ford, and one by Dolores) dedicated to wrapping up the loose ends the show left hanging since its premiere. Even with some graphic violence during Maeve’s escape through the Westworld offices, long stretches of “The Bicameral Mind” were awfully slow and talky. In the end, Westworld felt a little like its hosts; trapped in loops it couldn’t escape. Even trapped in a loop, though, this episode of Westworld delivered some provocative sequences and ideas. One of the most effective plots tonight (and most of the season) was Maeve’s clandestine attempt to sneak out of the park, which took a turn after Bernard Lowe (Jeffrey Wright) revealed that Maeve’s programming had been altered without her knowledge prior to her commencing this elaborate scheme, which was supposedly all about her reclaiming her life and power from the despicable humans who had enslaved her. Maeve’s story and dilemmas were classic Westworld in the best sense. Of all the stories that can continue into Season 2, Maeve’s is the one I’m most personally invested in. Even though she had an enormous role in “The Bicameral Mind,” and even though Evan Rachel Wood is the top-billed star in the cast, I’m not sure I can say the same about Dolores. The Westworld pilot positioned her as the central figure in its story, but then she spent much of the season literally walking in circles. The revelation that she’s actually the Big Bad named Wyatt that’s been mentioned throughout the season (or at least possesses a “Wyatt” personality upload from Arnold) didn’t seem particularly shocking (since we’ve known for a while that Dolores killed a whole bunch of people) or enticing as a part of a Westworld second season. Frankly, her “arc” (or loop) was as frustrating as it was fascinating. “Frustrating but fascinating” is sort of where I fall on Westworld’s first season overall. Did the payoff live up to the setup? For me, not entirely, and I have to say the promise of a second season set in a truly wild Westworld park doesn’t thrill me. (My favorite stuff this year was mostly the behind-the-scenes corporate drama, which will likely be dialed way back, if not phased out completely, now that the inmates are running the asylum.) There were some strong characters and some absolutely brilliant concepts, but they often took a back seat to underwhelming twists. This show never met an interesting character it couldn’t make less interesting by obsessing over ways to hide information about them from the audience for the sake of a surprise. No scene says more about Westworld, and about what Nolan and Joy want their art to express. It’s not enough to be beautiful or to convey an idea. One must also provide a puzzle to scour and decipher. It’s not enough to admire or consider the characters in the foreground. One must also pay absurdly close attention to the background as well. Who knows what the people of 500 years from now will discover in Westworld that we all missed — provided we haven’t all been replaced by artificial intelligence by then. -Although series creators Jonathan Nolan and Lisa Joy claimed the finale would answer all our questions, there are still at least a couple dangling mysteries out there. Most obviously; Where the hell is Westworld located? Maeve’s escape teased us with the possibility of seeing life beyond this massive compound, but at the last minute she canceled her trip. So we’ll have to keep waiting and wondering about that one. -In telling his backstory, the Man in Black explains that as William he could never find Dolores until he returned to Westworld’s main hub, Sweetwater. But William’s a pretty smart guy by this point, and he understands how the park works. When the hosts reset they go back to their loops. Wouldn’t it just have been easier to go back to Sweetwater immediately and wait for her to show up? -And another thing that bugged me: Arnold tells Dolores she’s alive, and that as a result he can’t let Ford open the park. To stop him, Arnold gives Dolores the Wyatt personality update and tells her to kill all the other hosts (and, later, himself). But if the hosts are alive (or can be made alive with whatever robot brain technology Dolores has inside her), and Arnold wants to protect them, why would he kill them? Isn’t that almost as bad (or maybe worse) than torturing them with existence in Westworld? -I’m not sure I understand Ford’s final act, either. He always seemed deeply opposed to what Arnold had been doing, or at least to letting the hosts remember their past lives or be treated like living beings in any way. Was all of it an act to disguise his true motives? If so, then Ford’s entire storyline is a bit like William and the Man in Black’s; rather than letting us see his motivations and understand them, it was all played close to the vest for the benefit of a shocking reveal. And it was shocking! But it was also confusing. I suspect (or at least hope) his motivations will be dealt with on the show’s second season. -A nice touch: When Maeve boards that train bound for who knows where, the conductor says it will leave in 15 minutes — with almost exactly 15 minutes left in the episode and the season finale. It’s a clever real-time touch and a nice metaphor: You thought you were leaving this place, because the season was over. But then Maeve gets off the train, and we’re still here, along with all the guests who are about to be slaughtered by Dolores. -Westworld tends to be a pretty humorless show. But a character named Armistice ripping her own arm off (in the post-credits scene to the episode) is pretty damn funny. -I hope Ed Harris wears a tux for the entire next season so we can call him the Man in Black Tie.